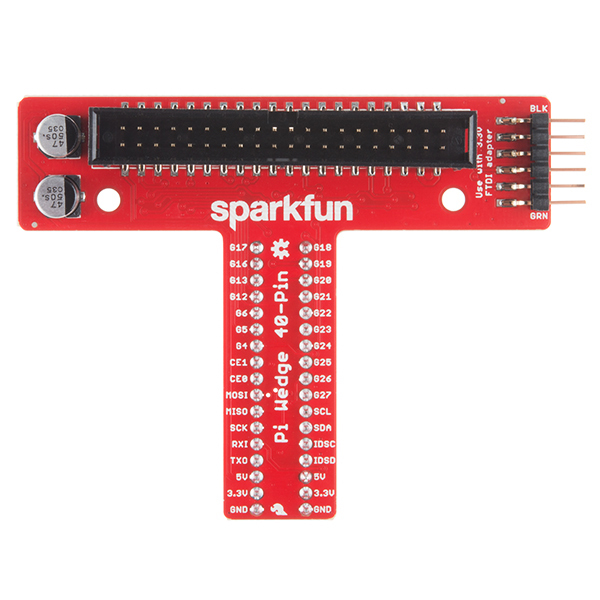 This is the SparkFun Pi Wedge, a small board that connects to the 40-pin GPIO connector on the Raspberry Pi and breaks the pins out to breadboard-friendly arrangement and spacing, and even adds a couple of decoupling capacitors on the power supply lines. The "Wedge" also makes the initial bring-up process easier - you can plug an FTDI Basic module into the built-in serial port. 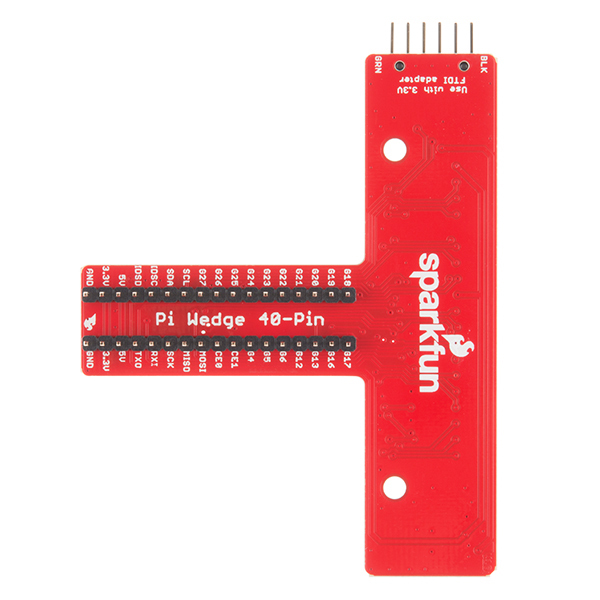 Each version of this Pi Wedge comes preassembled and can be inserted into the RPi's GPIO port that allows you to prototype - no soldering required! Does it work the same with RPI 3 ? Yes, it does. The 40-pin connector on the Pi 3 is the same as on the 2. The "Hookup Guide" link is broken for this product. EDIT: Thanks Toni_K, looks like that works and just what I needed. Sorry about that! It should be working now. Fits through my standard Pi Tin. No problems as of yet. The Pi wedge is one of the better additions I've seen for the Pi. Makes serial connections super easy. I have about a dozen or so of the Pi Wedges. Unfortunately, a few of them have come in with the 40 pin header soldered backwards. It took quite some effort to pull it off and solder it facing the right way. I would say if it comes reversed just return it. I really like the Pi Wedge. 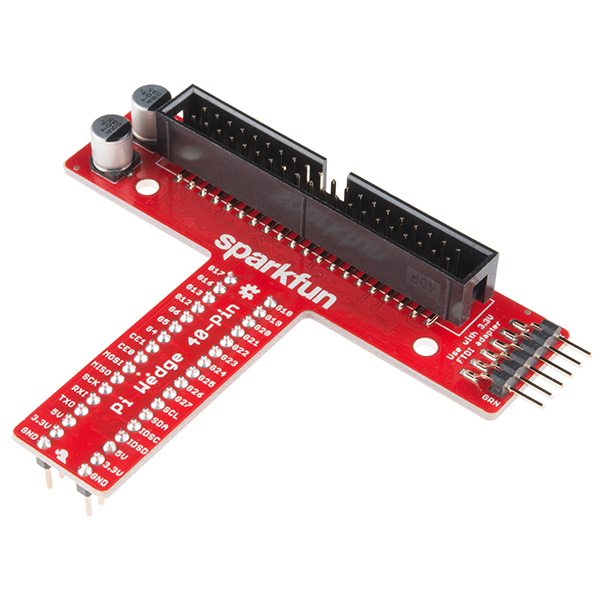 Makes it much easier to get to all 40 pins, and the pin grouping is more logical than the Pi itself. Arrived fast and in perfect condition. 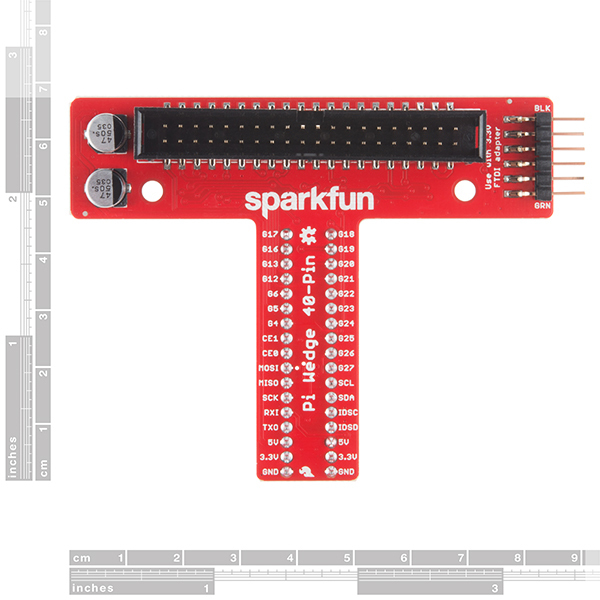 Raspberry Pi has an annoying male connector that is very inconvenient for prototyping with breadboard. The Wedge solves this issue for good. Dealing with the pins on the Raspberry Pi was annoying and this is a great solution. This board does everything as advertised. 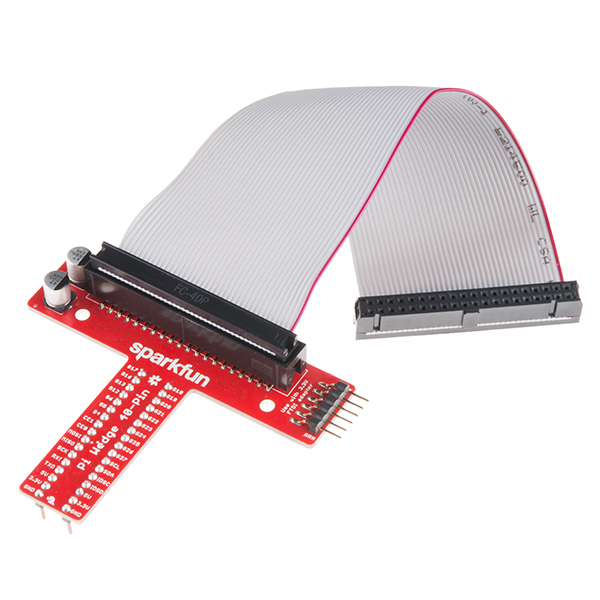 It makes connecting to the raspberry pi header much easier and more reliable than trying to run jumper wires. I wanted this unit to work with the pi top ceed! Still waiting for ceed. 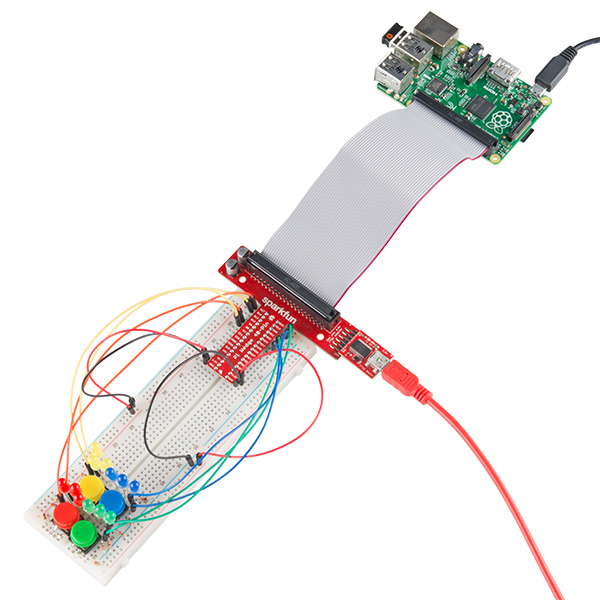 The best way to connect to GPIO pins on the PI. The power is filtered but not taken down to the breadboard power rails. I purchased the Element 14 Physical Computing Kit and it brought the 3.3 and 5 volt lines to the breadboard rails. Didn't know this was an issue. No filtering, but that can be done on the rails themselves. 10 ufd 25 volt cans work great.